Must Clear the Dock of Great Consignment Furniture! Pictured here is another Truck Load of Quality Consignment Furniture we brought in yesterday. There’s Hitchcock, PA House, Howard Miller, Kittinger and some unmarked Cabinet-Made Furniture. There’s Bedroom, Dining Room, Living Room and Occasional Furniture! Our job today is to continue getting these pieces Prepped, Polished and moved into our Preview Room or onto the Showroom Floor! 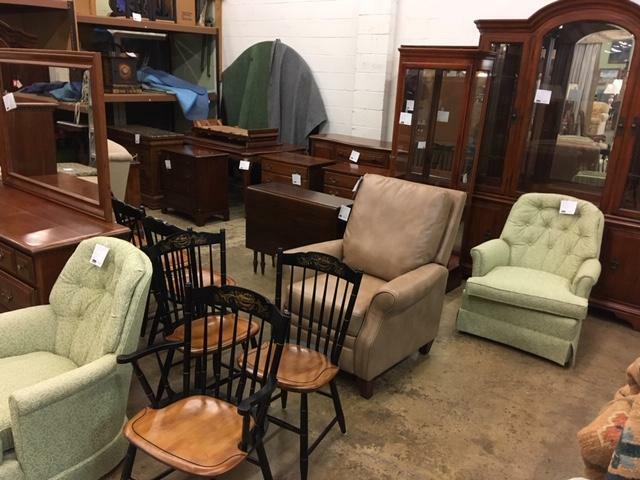 And like most days here at Baltimore’s Favorite Furniture Consignment Store, we need to do this all before the Next Truck Load of Furniture arrives this afternoon! So, Visit Often! Because unlike most consignment stores, Cornerstone has lots of pieces arriving Every Day!